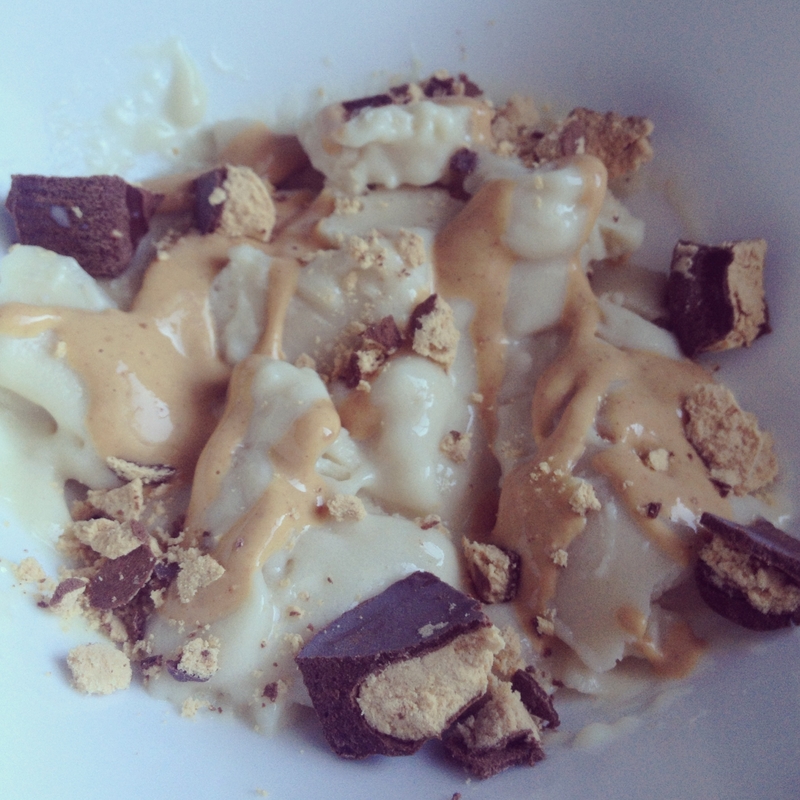 For the ice cream, blend 1/4 cup unsweetened almond milk and 1 scoop muscle milk vanilla light protein powder. Freeze for 30 minutes. Top with 2 TBSP PB2 and 1 crumbled quest peanut butter cup.